I am using my Essie Matte About You, purchased here. 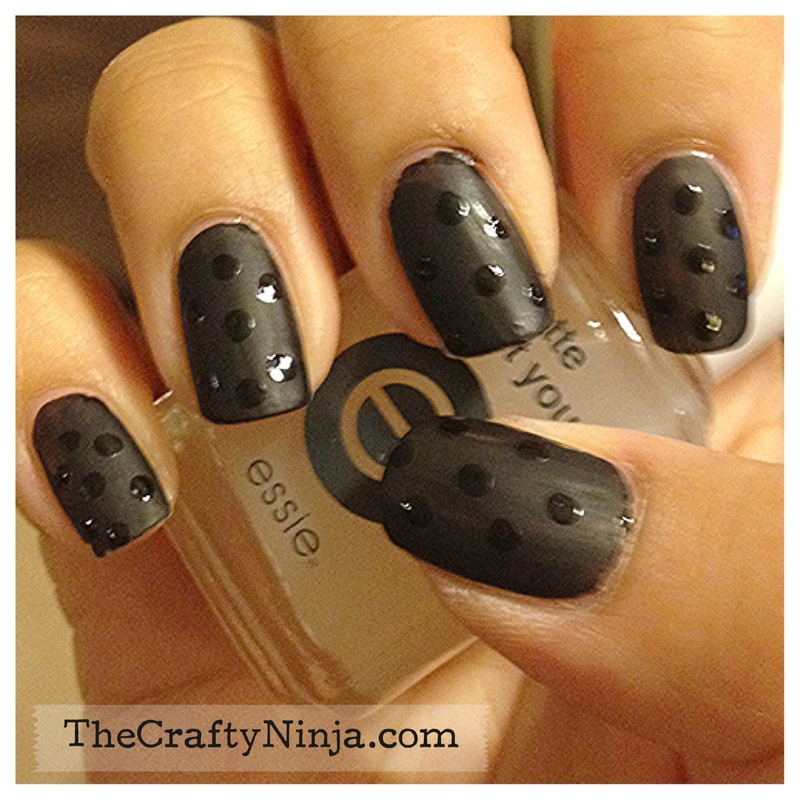 I wanted to create a matte look with shiny black polka dots and they turned out so sleek and cool. The contrast of the matte and shiny gives a nice subtle look. I also did another Essie Matte French Tip Tutorial using the same nail polishes. 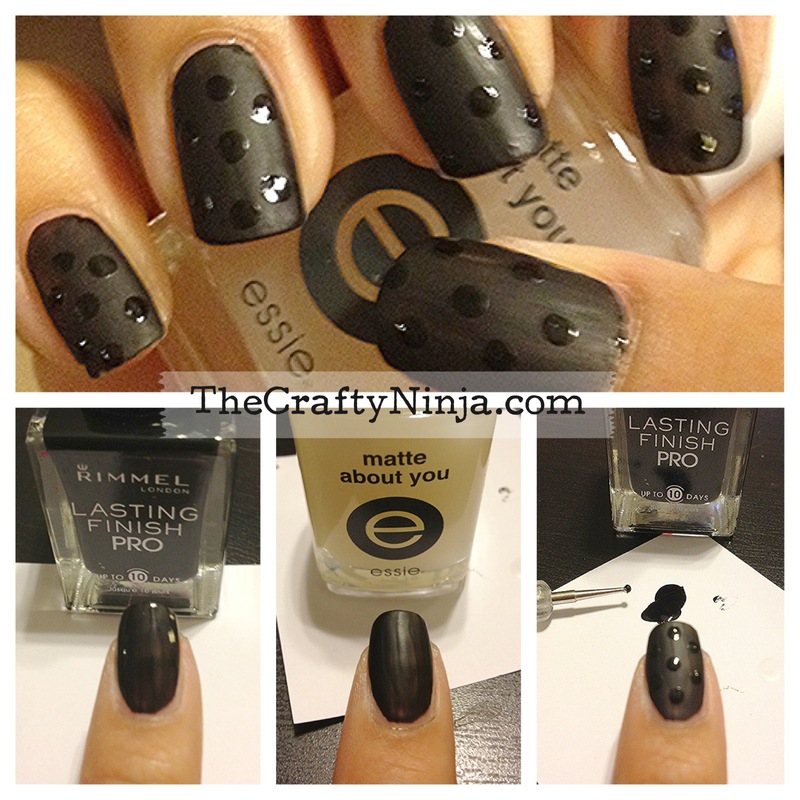 To create this look I first used a clear base coat, then painted all the nails with Rimmel Black Satin. Next I painted all the nails with Essie Matte About You. Last I added a dab of Rimmel Black Satin on a piece of paper and used a Nail Dot Tool, or you could make your own here, to create the polka dots.